The former MVP and six-time All-Star retires with the second-most hits in Minnesota Twins history; his 2,123 trails only Kirby Puckett (2,304). 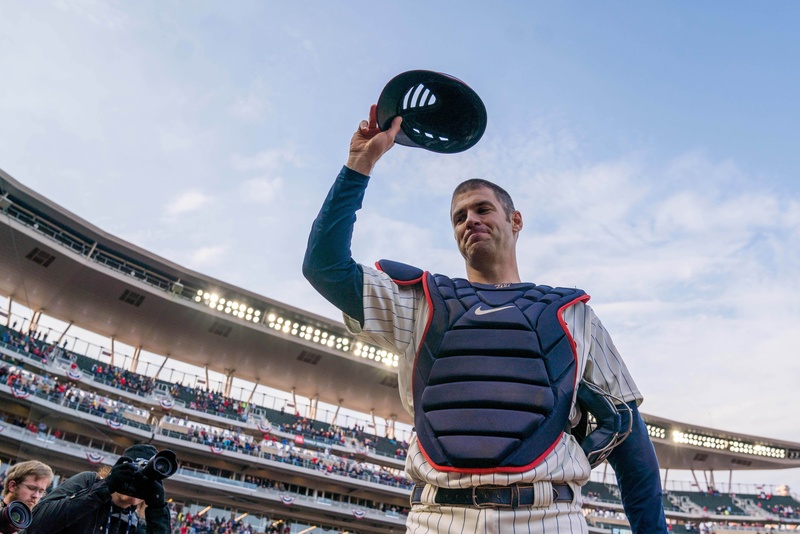 When the Twins selected the local high school star Mauer first overall in 2001, opting for the Cretin Derham Hall star over vaunted USC ace Mark Prior, it was a controversial choice. But it would ultimately be prove to be the correct one. 57 worked pretty well, however. Happy for Joe and his family, happy I got to see him play @ Target these past few years. Could not have asked for a better send off than he received - God blessed us with Joe, and blessed Joe. May He continue to do so. I was browsing some of the comments, one thing I noticed from former teammates, people how have covered him, and some of his opponents, is that first they would say he was a great player and then follow-up with he was just as good of a person. I noticed the same thing when he played his last game. The comments all seemed genuine, not the obligatory canned response. The best swing since George Brett! Damn concussions.... Good luck to him and his family! I hope he has a long, happy, retirement. It feels like forever that he was drafted in 2001 but it also doesn't feel that long ago.